The world of work is changing. A new machine age, powered by advances in artificial intelligence, robotics and digital platforms, promises to transform a variety of occupations and sectors. How do we best prepare our workers for these shifts? Pearson is the world’s leading education company, a FTSE100 global organisation with over 30,000 employees worldwide. Pearson UK has 4,500 employees and 50,000 contingent workers who work in 6 different business units. Pearson achieved Silver Accreditation in 2018. Neil spoke about ‘Creating a Sustainable Future’, how Pearson is repositioning itself as a digital education business and the importance of bringing employees along on the journey. Established in 1936, Ricoh is a global provider of technology that transforms business process and information management to help organisations be more agile, productive and profitable. Based in Northampton, Ricoh UK has 2,500 employees with an average length of service of 11.5 years. 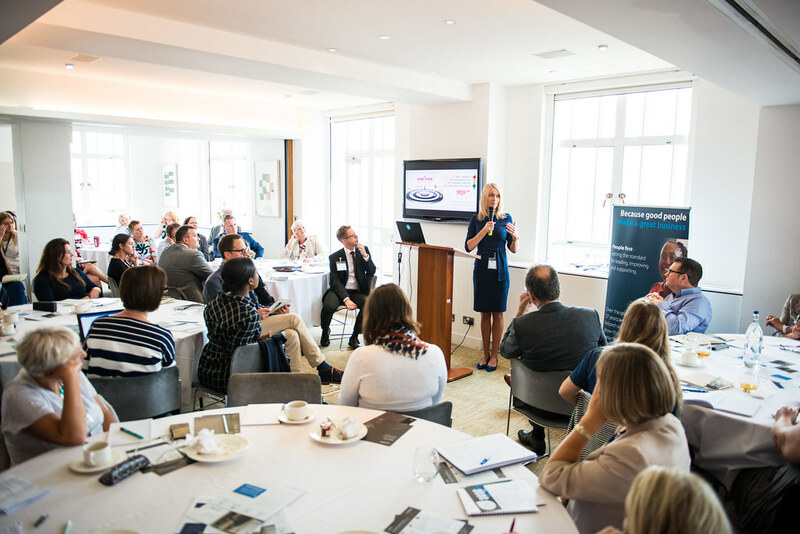 Rebekah spoke about ‘New Ways of Working in the Digital Age’ and how it is essential to put people at the heart of everything you do. The RSA is a London-based, British organisation committed to finding practical solutions to social challenges. What are the drivers behind the ‘good work gap’? What impact will radical technologies have on the workplace? How can we modernise our social contract so that it prepares workers for these shifts?